All unit graphics finished : step 1/5 is complete! 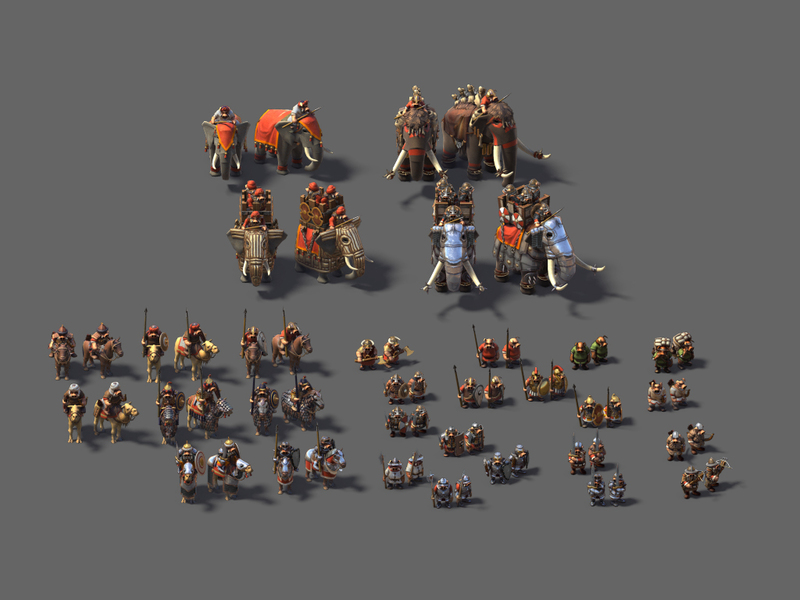 I’ve added about 30 types of units including mounted units on horses, camels, elephants but also the dreadful giant Mammoths. 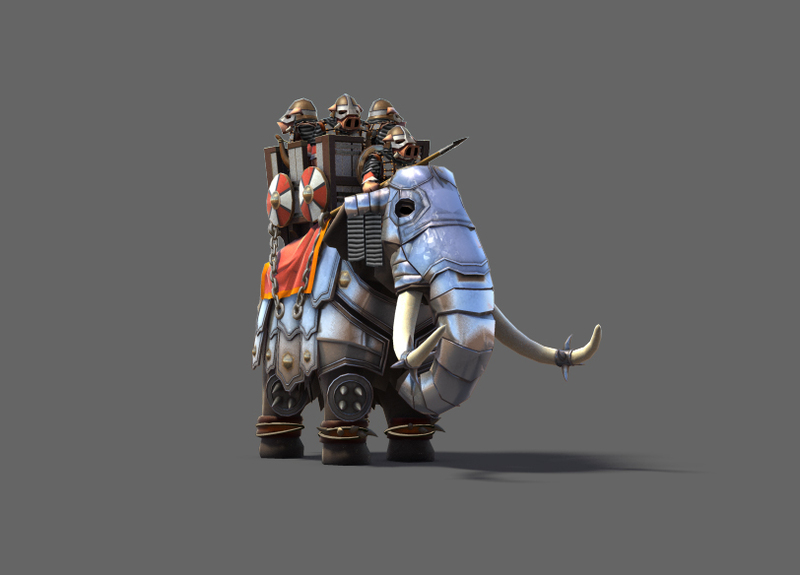 Bigger and stronger than elephants, its ultimate form , the Megaphant, comes equipped with a full steel plated armor and 3 archers. This will be the ultimate tank of the battlefield! For infantry units, there is now different types of swordpigs additionally to the spearpigs. Range units now include longbowpigs and crossbowpigs. 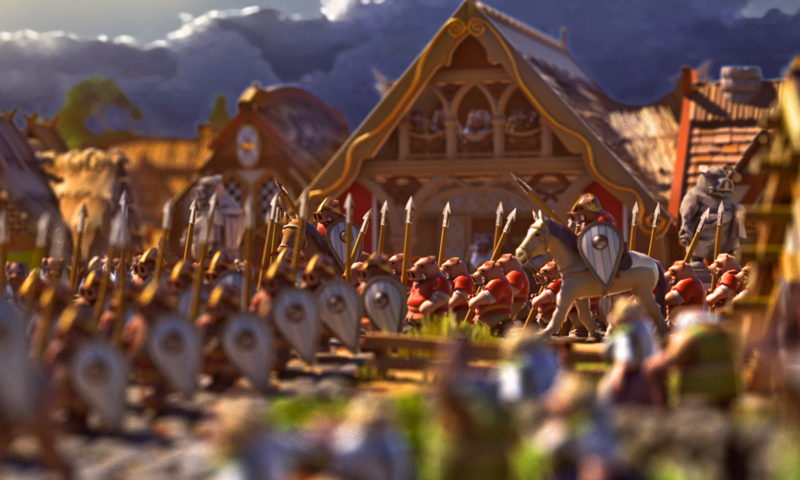 Mounted horses and camels each include 4 units : one light unit , one heavy “cataphracted” unit with scale armor, one heavy “pig-at-arms” with plated armor , and one mounted archer. Now that all the main graphic assets are complete, i’m moving to the next step : implementing service buildings. I’ll also have to render and format all these assets and add them to the game, wich is pretty time consumming!